God corrects us. It may be painful. It may sting a little…but it is always worthwhile. I recall being corrected and disciplined as a child. It wasn’t something I ever looked forward to, nor was it something I would want to do again, yet it provided me direction and it refined me as a human being. When we accept Salvation for what it is – God’s grace imparted to us by Jesus Christ, we begin this transformational refinement. Initial sanctification (what we know of to be accepting Jesus at the moment of Salvation) isn’t the end of our spiritual journey, it is only the beginning. 2 Corinthians 5:17 says, “Therefore, if anyone is in Christ, the new creation has come: The old has gone, the new is here!” At the first infant steps of our salvation we are shucking off our old sinful selves. For some that transformation occurs quickly while others this gradual refinement of the old to the new takes a little longer. The Holy Spirit does the prodding in us…the pleading, the yearning for us to recognize the unsurrendered bits and the road to complete submission. The “new life” is not easy, nor is the transformational process. Yet, through correction, conviction and purification by fire we can become cleansed and washed clean from our old lives. There is pain at the altar of submission. There is heartache and grief as we allow the prodding of the Holy Spirit to take root within us and allow Him to burn our old decay away. 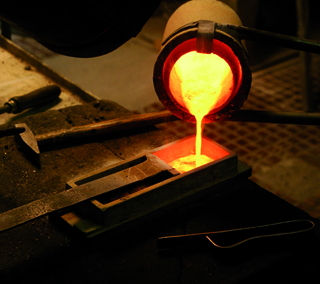 The refinement of gold and other precious metals is hot work. The solid must be melted down to its basic elements within the fire. As the solid becomes liquid metal, piping hot and volcanic, the impurities begin to become visible. Before these metals were melted down, the impurities were hidden and buried somewhere deep within…but now as the flame alters its state, these impurities can no longer be hidden. These impurities are plain as day, floating on top of the hot metal ore. The one who has melted down the ore will then gently skim the surface of the precious metal and remove the impurities. So too the Holy Spirit longs to this work within us. It is hot work. It may burn a little. We may groan under the heat of the flame, but what a difference it will make! Where are you right now on your spiritual journey? Is the Holy Spirit trying to refine you? Are you allowing Him access to you completely? Or are you holding back? 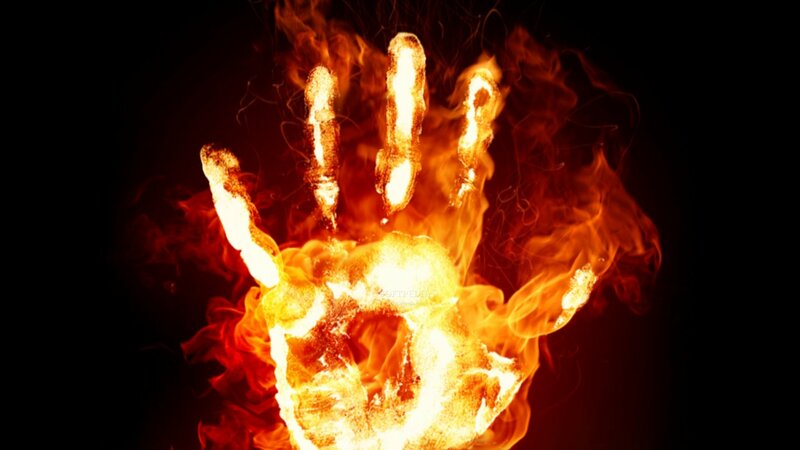 The old cannot be skimmed from your life if you aren’t willing to stand the heat of His Holy Fire. You are meant for so much more. You are meant to be refined and cleansed. You are God’s precious possession! He wants you all to Himself, but that cannot happen unless you are willing to be refined, and to do so requires your complete surrender. Stand the heat for just a little bit longer. Let His flames consume you. Our purification within His holy fire will be ongoing, and we may have to surrender time and time again but what a peace it is to discover that we aren’t on this path alone. 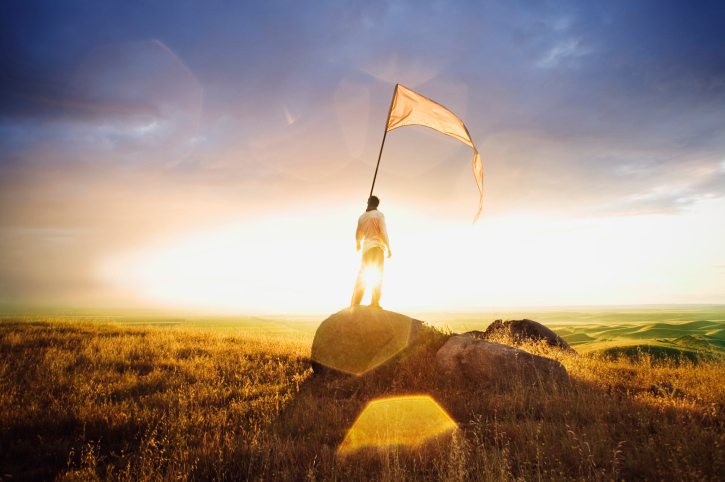 There is real peace in our surrender. There is real joy in His Holy fire. and complete submission – never tire. -Just a something more to ponder. Previous Post Previous post:The Salvation Army – Are we enabling through Social Programs? Next Post The Salvation Army – Women in Ministry…are we as Progressive as we think? Great message this morning. Thank you!! !